My Favorite Stylish Buffet Servers for the Dining Room! 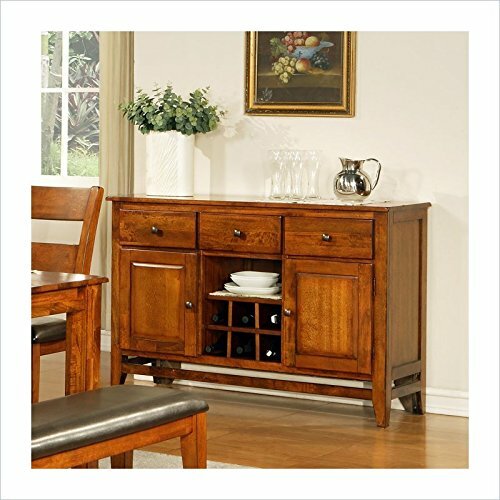 A beautiful and elegant buffet server cabinet is always a great addition to any dining-room! The best ones have ample storage space, including handy drawers and sometimes even a wine rack! 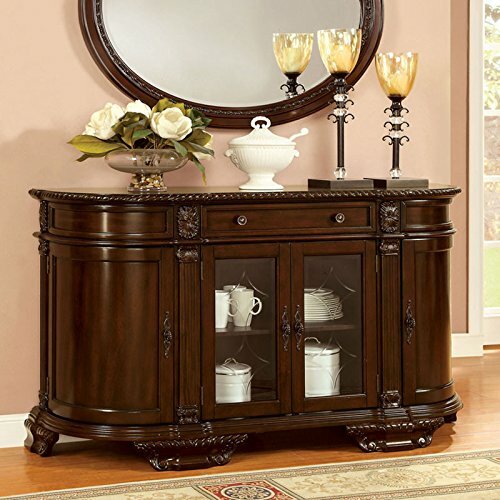 *This is a beautiful and very formal English style buffet server cabinet in an elegant brown cherry finish! Made of solid wood as well and it’s fairly large, at over 65 inches in length. It is a piece that will last for many years and pass down from generation to generation. They are usually placed next to the dining table, by the wall and they serve as a place to keep your food, beverages, coffee, etc when you are entertaining. Here are all my top favorites! This is one of my favorite modern buffet servers for sale! 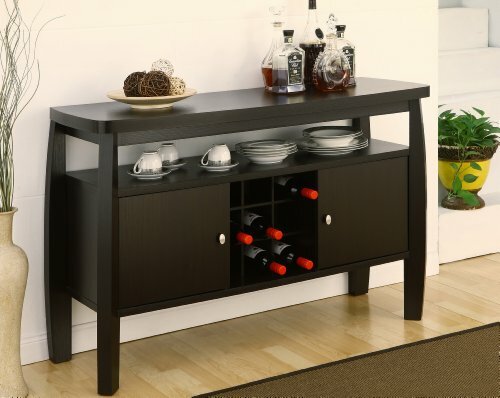 It’s a stylish black color buffet server! Besides having a gorgeous black finish, it has a very cool contemporary design! It is very well-built and it has a lot of storage room inside as well. What can I say, I really like this casual black buffet server! It is cool and unique! Just the way I like my furniture! If you are looking for a cute, compact, contemporary, not to mention practical and affordable dining-room buffet server with storage for sale, I think this might be a great option! It has a beautiful modern look and the dark espresso color is absolutely gorgeous! 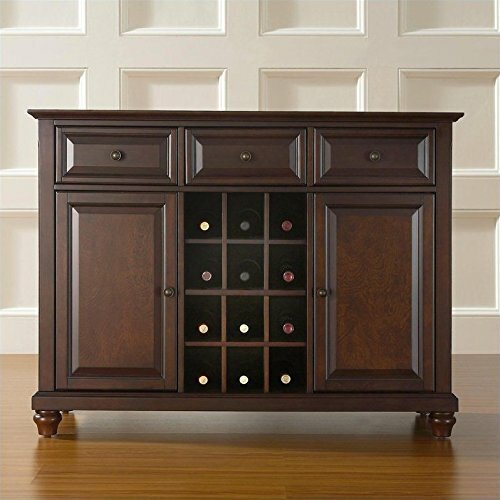 It also has two roomy cabinets and a bottle rack for your wine bottles, of course! Overall this piece is beautiful, practical and elegant! 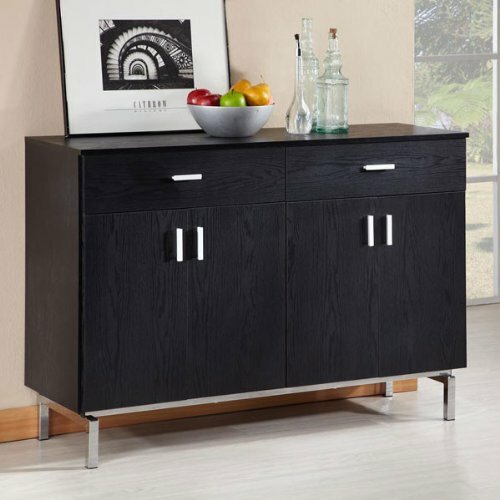 Another very nice and very affordable modern black buffet server cabinet for sale! It has a very nice and clean design and it’s really spacious inside! If you are looking for a cute wooden dining-room server cabinet for sale I really think you are going to like this one! 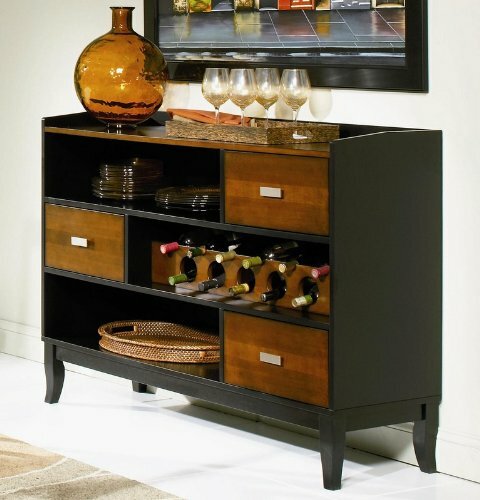 It is made from solid mango wood, it has three drawers on top, two cabinets and wine storage for six bottles! It also has another storage space right underneath the drawers, where you can place your plates. What really caught my attention right away was the beautiful light oak finish! 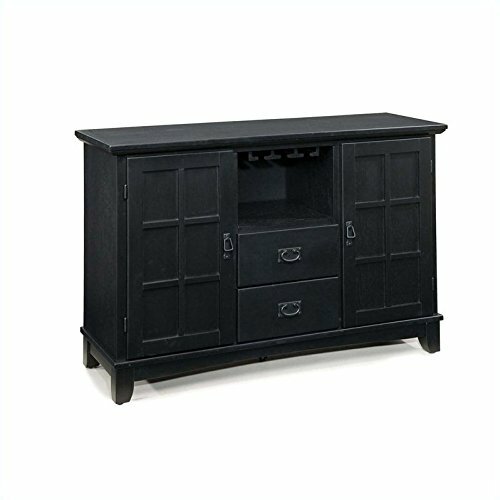 Check out this unique all black dining-room buffet server! It has this ‘antique meets modern’ look to it, doesn’t it? I also really like the two storage drawers and the wine rack on top! The two cabinets each have two removable and adjustable shelves inside. Overall this is a gorgeous piece that will definitely complement your (black?) dining-room! It’s very compact as well and perfect for smaller dining-rooms! There are three nice and deep drawers on top as well and two big cabinets. It has a very nice mahogany finish too! And last but not least in my selection of dining-room buffet server cabinets is this very cute and very trendy black and cherry server cabinet in a very cool and unique design! I love the fun drawers and the cool wine storage compartments! *I hope you enjoyed these buffet servers from this page and maybe were able to choose one for your dining-room!